I've been playing with spikes again... I recently went on holiday, and took a small box of beads with me... some 15s, some 11s and some delicas, and 12 spike beads. 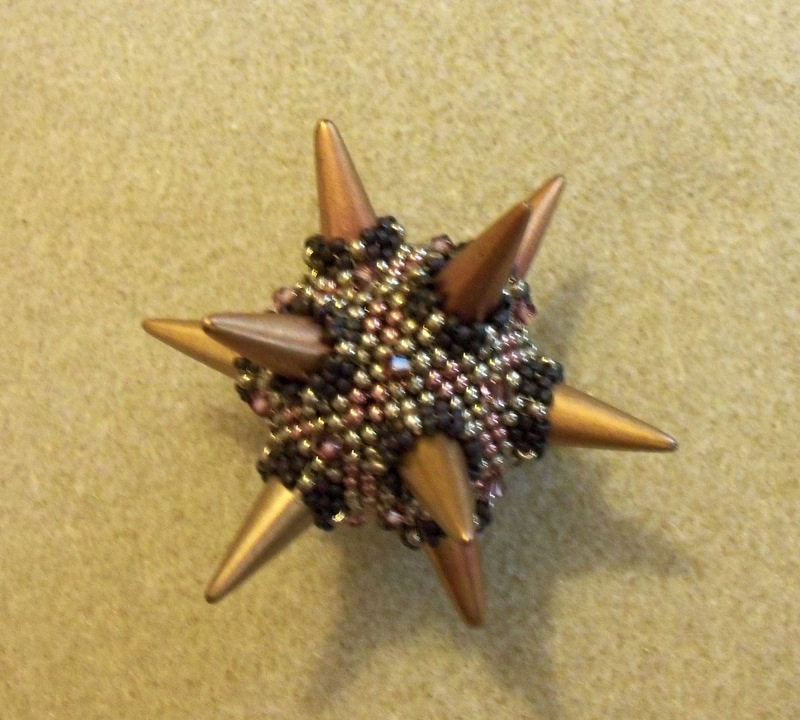 My aim was to bead myself a dodecahedron, with spikes all over it. An element of maths was required to work out how the elements would join together, but it wasn't too taxing for a holiday. I was very pleased with the result, and even more pleased when it was described by one of my friends as "very Laura McCabe"! I have written this up as a tutorial, which is available from my Etsy store. 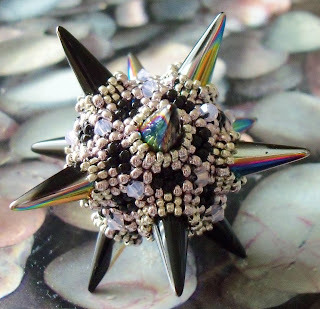 Earlier in the year, I blogged about going on Laura McCabe's beaded sculpture masterclass, which I attended the week after I got back from my holiday. I was very proud to take these little spiky balls with me to the class, and Laura liked them too! I'll blog about the masterclass itself another time. What a cool take on the spikes and studs I'm seeing everywhere this summer. Love the metallic black and silver!